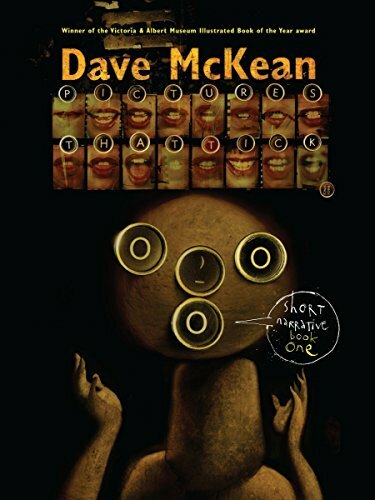 Rediscover Dave McKean's lost masterpiece! Pictures That Tick is a collection of McKean's groundbreaking short comics stories from the 1990s and early 2000s. A true iconoclast, McKean mixes illustration, painting, photography, sculpture, and digital art for a comics experience unlike any other. Some pieces are poignant, some are silly, but all are beautiful and thought provoking. Each is completely unique, and gathered together they represent a tour-de-force achievement. A perfect companion to McKean's Cages, Pictures That Tick stretches the boundaries of comics art, and the short-story format in some ways allows him to create an even broader artistic vision. Super Weird Heroes:Outrageous But Real!